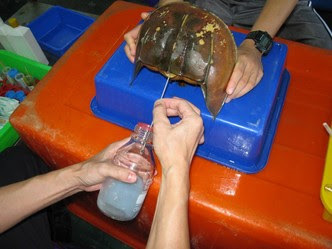 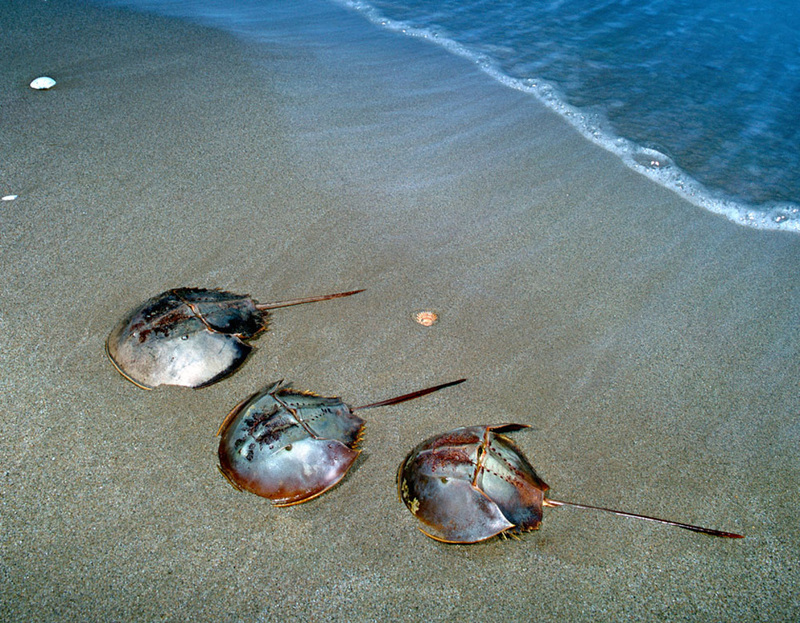 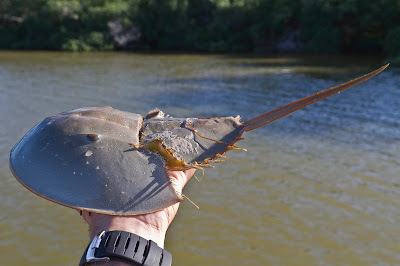 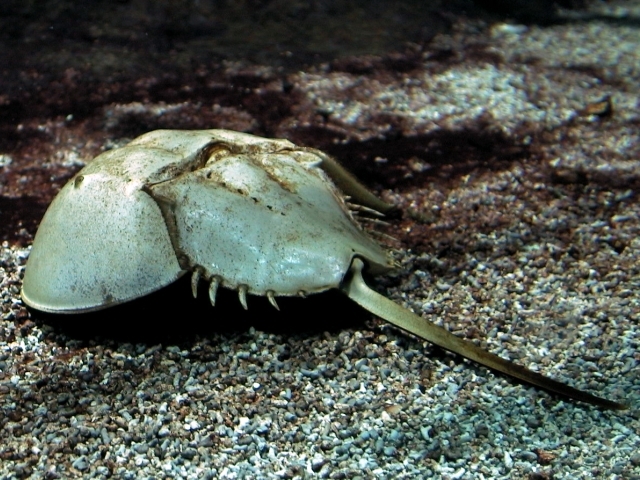 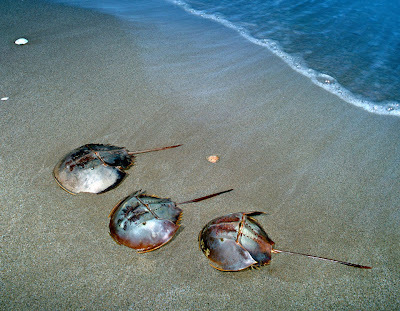 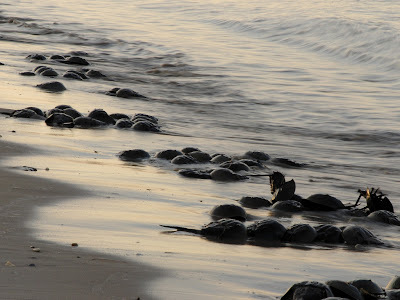 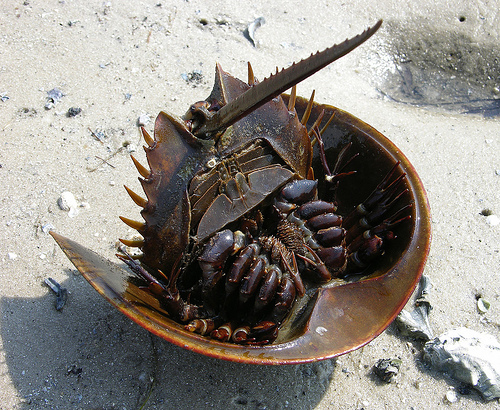 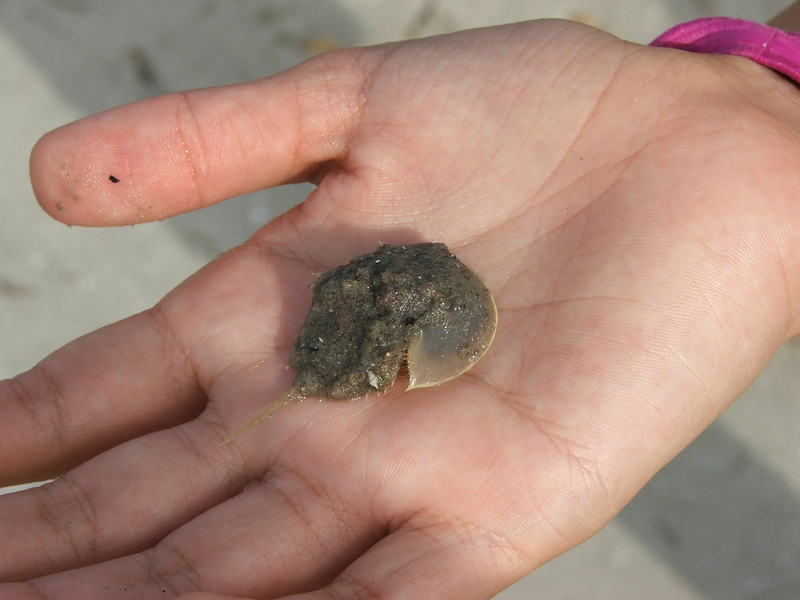 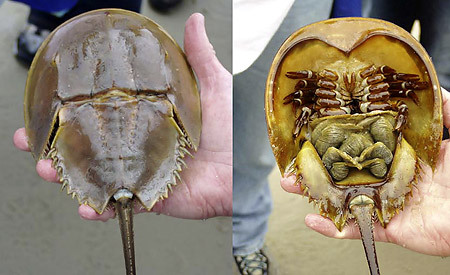 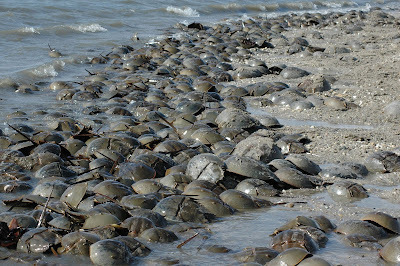 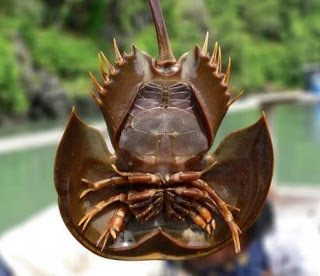 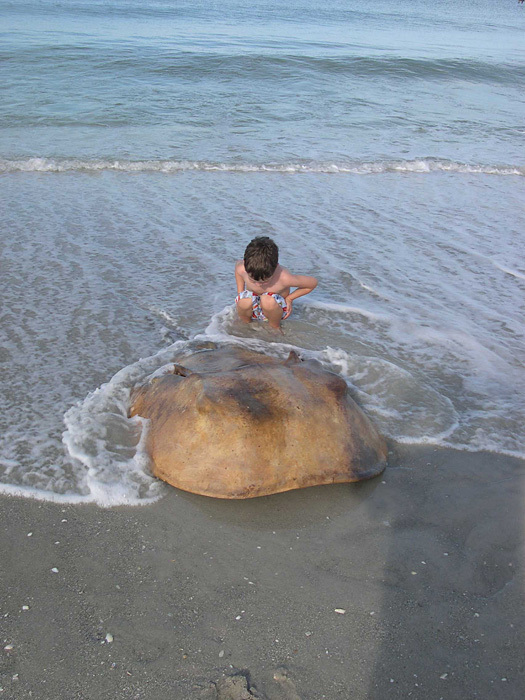 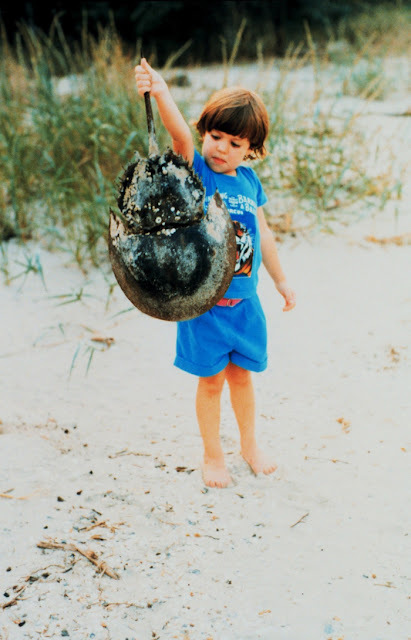 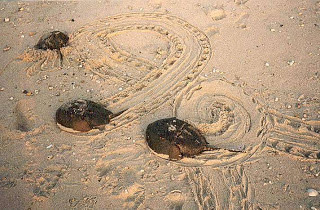 The carapace is shaped like a horseshoe, and is greenish grey to dark brown in colour. 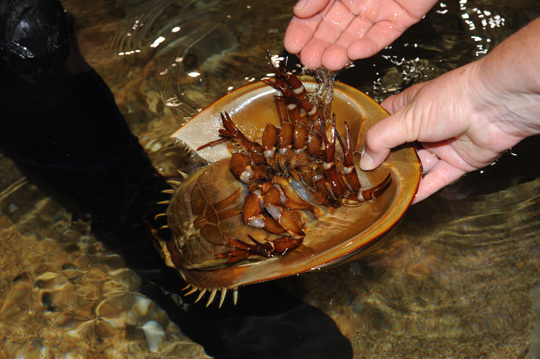 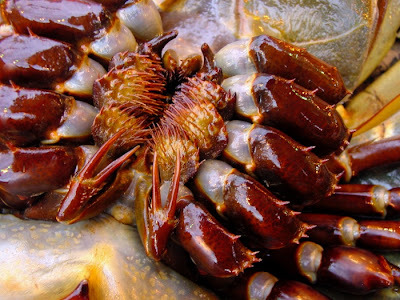 A wide range of marine species become attached to the carapace, including algae, flat worms, molluscs, barnacles and bryozoans, and horseshoe crabs have been described as 'living museums' due to the number of organisms that they can support. 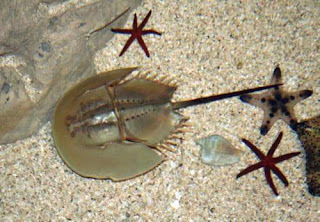 On the underside of the prosoma there are six paired appendages. 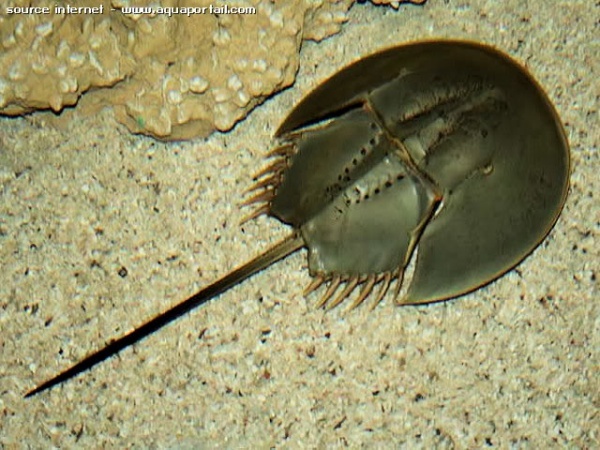 There is a compound eye on each side of the prosoma, five eyes on the top of the carapace, and two eyes on the underside, close to the mouth, making a total of nine eyes. In addition, the tail bears a series of light-sensing organs along its length. 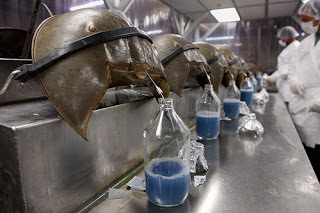 A further unique and intriguing feature of this ancient species is that it has blue copper-based blood.